When it comes to your health, one thing can lead to another. A condition such as diabetes can affect every area of your life, particularly your foot health. When glucose levels get out of control, one of the first areas to be affected is your feet. Nerve damage can cause injuries to go unnoticed and when the damage gets severe, you may be facing a condition called Charcot foot. This is a serious degeneration of your foot structure that can cause deformity and affect your mobility and quality of life. 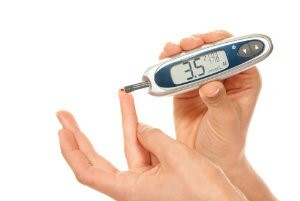 A major component of diabetes is the management of glucose levels in your blood. When these levels are allowed to fluctuate, it can lead to significant damage to your blood vessels, nerves, organs and even bone. One of the most common conditions that develops as a result of having diabetes is neuropathy, which involves damage to the nerves in your body. The condition is often concentrated in the feet at first. The result is that you are not able to feel heat, cold, or pain, and injuries can happen without you even knowing something is wrong. 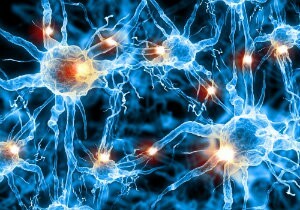 When your nerves are unable to relay messages to your brain that you have pain or an issue within the structure of your feet, you would continue about your normal activities and make things worse. Charcot foot is essentially the breakdown or slow collapse of bone structure due to severe neuropathy. When you incur a small injury and continue to walk on the affected foot, the repeated strain only weakens the bones further. The damage becomes compounded and your arch begins to collapse because of the continued strain. Poor circulation is another condition that can arise with high glucose levels, slowing down healing process and adding to the damage. Over time the small injury gets worse. Your foot structure gets weaker and susceptible to further damage, but due to the neuropathy you may not be aware of the breakdown going on. Your bones can crack and grind against each other and eventually they will just collapse. When this happens, the foot often becomes crippled and changes shape. Severe complications can then arise if you continue walking with your foot in this state. You are at risk for developing sores and ulcers, which then increases the risk for amputation should they become infected. Charcot foot can be managed conservatively if you seek treatment early. Waiting too long gives the condition a chance to progress, and when your foot breaks down or becomes infected, you may face amputation or a life-threatening situation. We will use X-rays and other tests to diagnose the severity of the damage, which will indicate your path of treatment. Immobilization in a cast is common to remove weight bearing while the bones are healing. Afterwards, custom shoes or braces will help support and protect the foot to prevent re-injury. With a severe deformity, surgery may be necessary to reconstruct the structure of the foot before healing can take place. You can avoid this deformity by keeping your blood sugars under control and taking diligent care of your feet. When your nerves don’t function as they should you need to rely on the signs and symptoms of this condition so you can get treatment at the onset. You may feel some discomfort but when an injury is present, your foot will likely swell and your skin may look red and irritated. Your foot may also feel warm to the touch, and in severe cases you may visibly see your foot changing shape. Don’t wait until amputation is your only option for recovery—contact us immediately if you notice any pain or changes in the health of your feet. Contact Richardson Podiatry Associates for an appointment or further information. You can reach Dr. Gene Reister by calling our Richardson, TX office at (972) 690-5374.